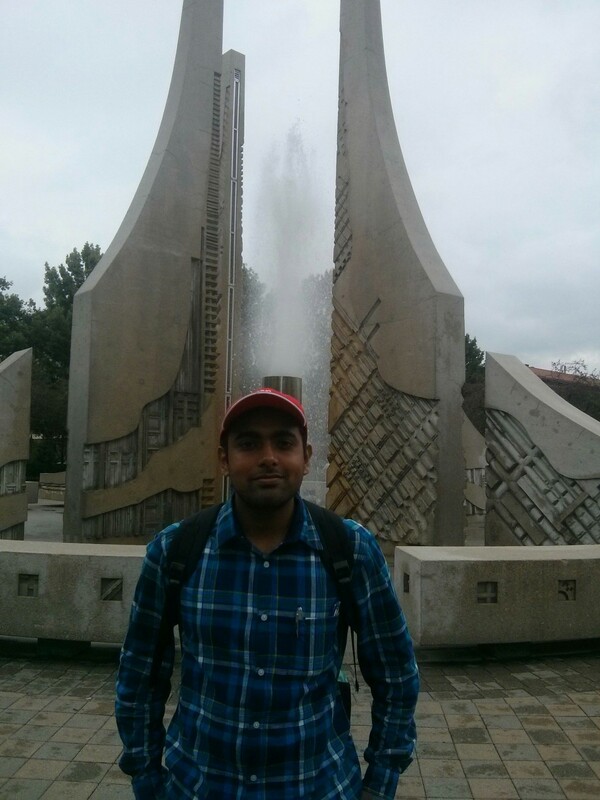 Tony Mathew, a 2016 Chemical Engineering alumnus recounts his experiences at Purdue University and his journey there. During a friendly chat with the Chennai36 team on a late night (thanks to the time difference), he gives a clear and concise opinion on every aspect of grad school application from selecting the right school to ensuring a successful selection. My first impression can be summarized in two words – extravagant and friendly. I see extravagance all around. A lot of money is poured in, mainly from alumni donations to improve the infrastructure and facilities available for students. And of course, the campus is friendly. Be it the students, the community, the shopkeepers, the bus conductors all were courteous and happy with their lives. I did not know Purdue was in a countryside. Only when I came here did I realize that it is a part of a university town. The entire town is built around Purdue University. It is more than a town, but we do not get the facilities of a city. I joined as a general Ph.D. scholar. In the 1st semester, you meet various professors and try to join their research. I was sure that I wanted to do Computational research. There were only two projects available in distillation and network. I chose the distillation project because I had a better chance of getting it. There is a lot of competition in Purdue for project selection. I am a computational scholar in Purdue so I can work either from home or from office. But I prefer to work from the office. I generally go to the campus around 10 am in the morning and work there for a few hours. I come to lunch and then work some more until late night. The campus is around 4 times larger with 40,000 students. There is a bigger diversity of departments. But in IIT we had this community. We were quite a big number but we were all connected together as a single community. Purdue does not have this connection. It is a part of the culture in the United States. We are all a part of Purdue but we are still not closely connected. Then there is the funding. Purdue has a lot of money for development. When it comes to teaching, professors use media support systems more. They use projectors which scan written notes. So, instead of the professor writing the notes on the board, they are just projected. They also have multiple screens around the room. Then experimental facilities are much more than we have at IIT. You should have made your decision by your 3rd year. But even during my school days I always wanted to do a Ph.D. after my bachelors. Since your 3rd-year internship should be a research internship if you are pursuing higher studies, it is better to have decided by then. Purdue looks for a commitment in the student to work in a research field at least for 4 years. They expect you to be dedicated to the academic system and possess the intellectual capacity to contribute to the field. They look for an ability to progress. You should start your SOP as early as you can. It is better if you dedicate 2 months to it. You should understand that you can’t write an SOP alone. You should share your SOP with seniors, preferably those who have applied to the same university and in the same field. They will be better placed to help you with the technical details. You should approach people under whom you have worked under. They need not necessarily be professors. It is better if they are involved in research. They should be people who can assess your capabilities as a researcher. I requested for SOPs from my B. Tech project guide, my internship mentor, and one of my course instructors. These are just ‘pass/ fail’ criterions. Once you pass the threshold they are not significant. As far as I know, they are not used for any final choosing. Getting a higher score above the threshold does not add any value. It is not necessary to have a 9+ CGPA. My CGPA was 8.26. In order to compete with people with a higher CGPA, you need to have a strong research background. It need not necessarily be publications, though they help a lot. Your internships, projects, resume, and your recommenders can tip the balance in your favor. I had done 2 interns. The first was at my local town and was based on modeling of systems. Though it did not help me much with my selection, I learned a lot from it. My second internship was at CSIR- Central Electrochemical Research Institute Madras. Here too I did not contribute to research and was involved more in peer learning. It was based on Computation. In B. Tech you have an option to choose either extra courses or a research project. You should do a project if you want to apply to grad schools. So, I too did a B. Tech project in my final year. If you can show significant progress in your project, you have a better chance of getting selected. I did not have any research publication. They are not crucial, but they are without doubt useful. They give you an edge over other applicants. But, Bachelors students who apply usually do not have research publications. I chose Purdue because my guide personally recommended it. If you are confident of your application and your chance of getting selected, then apply to institutes with higher rankings. You have to be mindful of the application cost and process. The applications are not cheap and can cost around $100. The application process is tiring. Once you submit your application, there is a waiting period. And facing a lot of rejections is not something most people can easily handle. Choose institutes you can handle and those you believe are within your reach. I do think PoRs are significant for a research aspirant. They show that you can handle responsibilities and manage tasks, but you do not get selected because of your PoRs. They may slightly push you ahead if you are on par with the other candidates. Involve yourself in the cultural activities of the institute. They are a source of strong bonding and fun. It gives you a diversity of experiences and you get a different perspective. It gives you an opportunity to expand your horizons, both mental and social. So, take a strong interest in the cultural scene if it works for you. Involve yourself in Shaastra and Saarang. It is a wonderful experience being a part of a student-managed organization.